The 56th Annual Skate St. Paul Figure Skating Competition will be conducted in accordance with the rules and regulations of U.S. Figure Skating, as set forth in the current rulebook, as well as any pertinent updates which have been posted on the U.S. 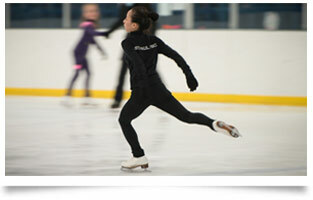 Figure Skating website. Click below for specific class offering for each time. Accelerated and preschool small group classes teaching basic skating skills and competitive figure skating skills to skaters of all ages and abilities, including first time skaters! *NO CLASSES ON MONDAY MAY 27TH, AND THE LAST DAY OF SATURDAY CLASSES IS MAY 11TH. 6:40 p.m. - 7:10 p.m.
7:10 p.m. - 7:40 p.m. Registration is Now Open for our 2019 Rising Stars Camps! Join the Fun! Our exciting summer camps have something for everyone! Camps for Preschoolers, Half-Day and Full-Day Camps! All SPFSC ice is purchased using Ice Credits. All skaters who skate on SPFSC ice must have an ice purchasing account. It is not necessary to reserve specific ice sessions. 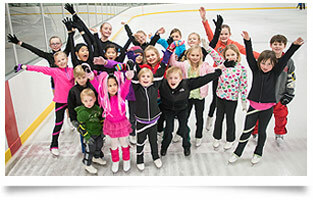 You may use your ice credits for any session you qualify to skate on. Refer to the ice schedule for level qualifications. St. Paul FSC on The Jason Show! Jason visits the Champions at the St. Paul Figure Skating Club! St. Paul Ice Dance Program.